Home Health Care Management and Practice- Recently, the U.S. Court of Appeals has put the spotlight on the methods home health providers conduct and compensate for referrals. The courts have stated that many may be at risk of violating the Anti-Kickback statute. On February 10, the U.S. Court of Appeals for the Seventh Circuit examined the definition of “referral”. 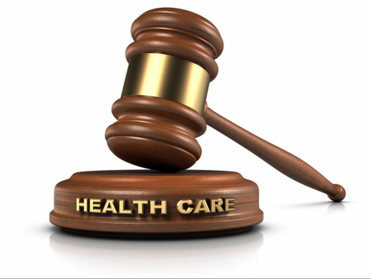 The court argued for a broader interpretation of the term to include more than just a doctor’s recommendation for a provider, but also the doctor’s authorization of care that allows a patient to go to a particular provider. A recent case in Illinois has prompted the re-examination of the term “referral”. The case United States vs. Patel (Case NO. 14-2607), was one such occurrence which held that Kamel Patel, M.D., a Chicago provider, had violated the Anti-Kickback Statute due to receiving payments after his patients were choosing to receive services from Grand Home Care, a home health agency in the area. According to the Statute, it is illegal to “knowingly and willfully solicit or receive any remuneration (including any kickback, bribe, or rebate) directly or directly, overtly or covertly, in cash or in kind—in return for referring an individual to a person for the furnishing” of health care services paid for by a federal health care program. Court records show that Patel received $400 payments for each referral and new admission from Grand. Additionally, he received payments of $300 for each signed recertification. Patel argued that the usage of “refer” indicates a doctor’s recommendation that a patient see a particular health provider, however, the court disputed such a broad interpretation. “The Anti-Kickback Statute prohibits a doctor from receiving kickbacks that are made in return for a referral,” the court stated. “It does not require that the referral be made in return for a kickback. A reasonable fact-finder could conclude that Patel ‘willfully and knowingly’ received a kickback paid by Grand because Patel gave Grand referrals; that was all the government needed to prove. During the trial, the court’s documents showed that Patel gave notice over the phone that he was not willing to sign the certification/recertification forms for the patients referred to Grand until the company’s owner, Nixon Encinares, gave notice that he would be able to bring cash along with the forms. Encinares and Co-Owner Maria Buendia kept records to track all of Patel’s patients that were receiving treatment by the company, as well as the payments to Patel. Many payments were over $1000. The agency owners cooperated with the courts, providing recordings of phone calls with Patel. This evidence helped the court file a 42-count indictment on November 13, 2012 alleging violations of the Anti-Kickback Statute. Patel filed a motion for acquittal citing that he did not make any “referrals” to Grand, however, the district court denied his motion and found him guilty on all counts. He was found guilty and sentenced to serve eight months of imprisonment, 200 hours of community service and was required to forfeit $31,900 of kickback payments.